The circus arrives without warning. No announcements precede it. It is simply there, when yesterday it was not. The black sign, painted in white letters that hangs upon the gates, reads: Opens at Nightfall, Closes at Dawn. As the sun disappears beyond the horizon, all over the tents small lights begin to flicker, as though the entirety of the circus is covered in particularly bright fireflies. When the tents are all aglow, sparkling against the night sky, the sign appears. Le Cirque des Rêves. The Circus of Dreams. Now the circus is open. Now you may enter. The circus arrives without warning. What a sentence that is, and the first one of the novel. That sentence draws you into the book immediately, captivates your attention, and injects you with the knowledge that there will be many other sentences like this. This sentence tells you everything and nothing, piques your interest, and frightens you, setting the scene perfectly. 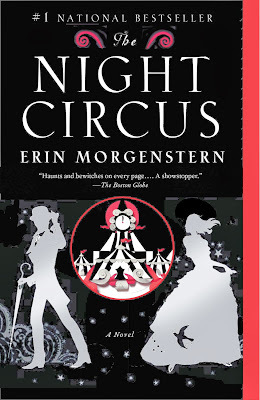 Morgenstern's writing is pure, beautiful, lyrical, and jumps off the page. Each sentence catches a small gasp in your throat, the imagery is completely enchanting, and her characters are shown to us slowly, but with rich, dark pasts and lots of secrets. I loved every single one of them in their own ways, and was devastated to leave them behind by closing the back cover. 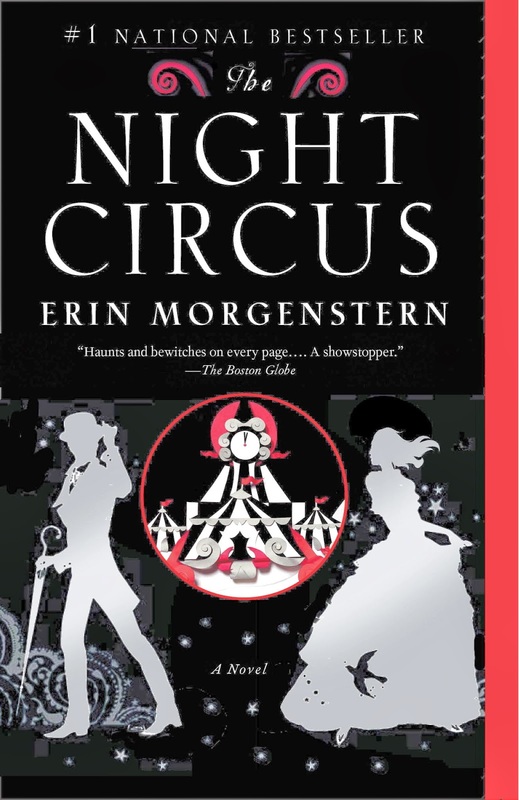 As you read, you learn the circus is only a venue for a duel between two magicians. Without giving too much away, this is the most wonderful duel imaginable. It's no Harry and Voldemort; it's abstract and gorgeous. The descriptive power of Morgenstern, and the way she made the two rivals fall for one other whilst expressing this passion during the duel, was outstanding. The story isn't anything like the synopsis suggests. It's not fast paced, nor filled with action packed magical fighting. This is something else. There's beauty and betrayal, loyalty, guilt, sadness, even cruelty, all amongst the magic. The story is by no means linear. Morgenstern jumps from time and place effortlessly, and rather than confusing matters, gives us clarity and understanding by showing us both past and future events. These changes keep the plot flowing well, adding twists and answering questions before throwing us across the Atlantic to hear some other person's side of the story. Sections of the novel are written in second person narrative, which transports you into the circus and makes you become a part of it. These parts are set in an unknown time period, until Morgenstern slips a small hint to timeframe at the finale. This was so subtle, it amazed me, and was nothing short of dazzling. Morgenstern's choice to include these sections was wonderful, and they were a very important part of the novel for me. As always, I could rave about this story for far longer than I should. I can't review this properly because I am completely and utterly biased and in love with it. I am sure there are flaws somewhere, but I simply did not notice them, or was subconsciously willing to overlook them. I would urge anyone to read this book. I finished it more than a week ago, and I'm still getting goosebumps remembering some of the passages. If you trust my judgement, and I'm grateful that most of you do - this is essential reading. The second person narrative sections put me off a bit, I can't stand 2nd person. Still sounds really good through, I'll pick it up if I see it around.